Treatments such as dog diarrhea pepto bismol and others should only be used under the advice of your Veterinarian. Diarrhea can be extremely dangerous is your dog begins to suffer dehydration. We strongly recommend a call to your Veterinarian to discuss these non-prescription approaches to treating this disease. If you see the following symptoms, act immediately including vomiting (2+ times in a day), lethargy/loss of energy, changes in behavior or acting sick, bowel movements every hour or 2, worms in diarrhea, bloody. When treating diarrhea at first focus on providing a bland diet first. At the same time avoid dehydration by providing plenty of water. Alternatives to water that could help include diluted Gatorade and Pedialyte (dilute with water unless Veterinarian suggests full strength). Give dog 0.5-1.0 ml/pound every 4 hours or loperamide (0.2mg/ml Imodium, Equate WalMart) at 1ml per 4 pounds two or three times a day. For a dog up to 30 pounds, one regular strength Immodium every 12 hours. For over 30 pounds, a full tablet regular strength. 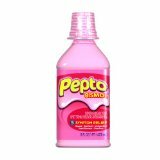 Pepto bismol (bismuth subsalicylate): for dog diarrhea can be helpful for ending dog diarrhea. Dosage is .5 to 1.5 ml per pound of body weight orally every 12 hours. 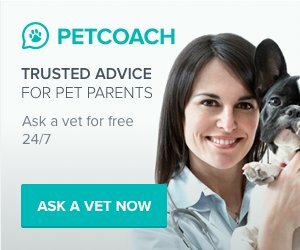 Check with your veterinarian for the dosage required to help your dog.